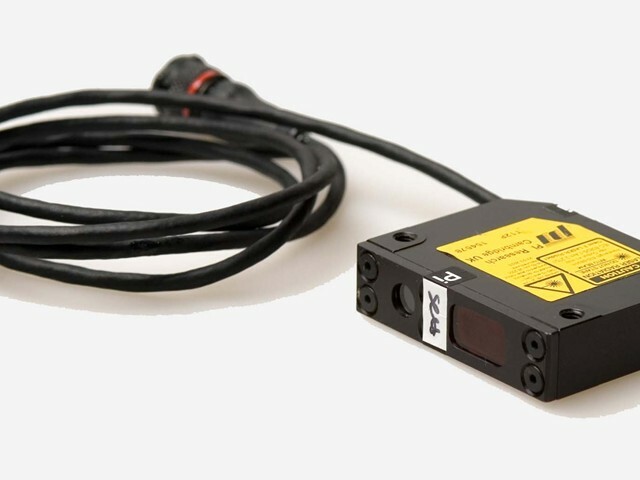 Cosworth’s mini laser ride height sensor accurately measures ride height distances from 50mm to 350mm, with a 0.02mm to 0.45mm resolution and a response time of 900μs. The output from the sensor is a single analogue channel which can be fed to a data logger. 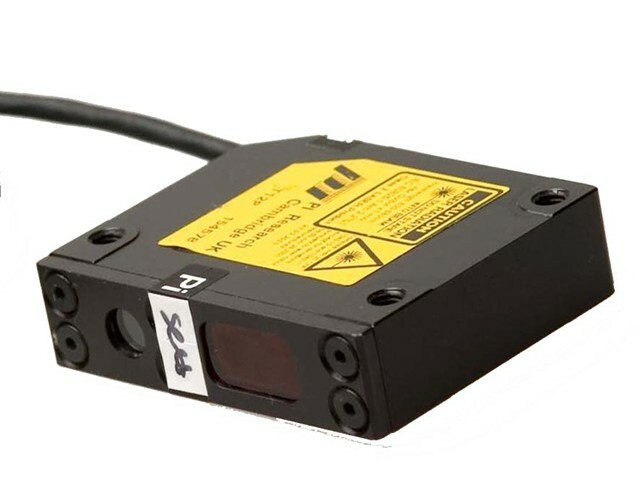 If the laser is interrupted or a measuring errors occur, the analogue output will stay on the last valid output value for a maximum time of 200 ms. Any valid measurement will immediately update the output. If no valid measurement is made for 200 ms, then the output will drop to 0V. To reset the sensor: Apply +12V to the blue wire for 20 seconds. If the optional AS connector is fitted, the teach connection is held to ground, and it will not be possible to teach the sensor without connector modification.